Samsung has screened his new smartphone Galaxy A9 in India. 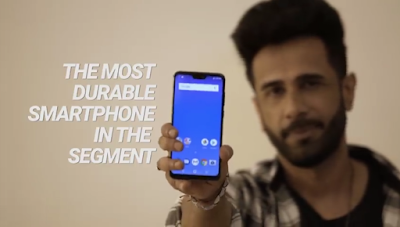 The company claims that it is the world's first smartphone with 4 rear cameras. Learn what all its features and price are. The Samsung Galaxy A9 has a 6.3-inch Full HD + Super AMOLED Infinity Display. It works on Android 8.0 Oreo. The phone has a Snapdragon 660 processor running 2.2 GHz. The smartphone has been introduced in 6GB RAM / 8 GB RAM variant. 128 GB internal storage is available, which can be extended up to 512 GB via microSD card. If the camera is talked then the phone has four rear (24MP + 10MP + 8MP + 5MP) cameras. For the selfie, the phone has a 24-megapixel front camera. The Galaxy A9 has a 24-megapixel primary camera with F / 1.7 aperture and a 10-megapixel telephoto camera with F / 2.4 aperture. Apart from this, an 8-megapixel ultra-wide camera with 120-degree lens and F / 2.4 aperture and a 5-megapixel depth camera are also given, which has an aperture F / 2.2. For Selfie, the phone has a 24-megapixel front camera, which has a F/2.0 aperture. This smartphone comes with Bixby Assistant, Face Unlock and Samsung Pay. The phone has a 3800 mAh battery. It resists fast charging. The phone has a 3800 mAh battery. It resists fast charging. 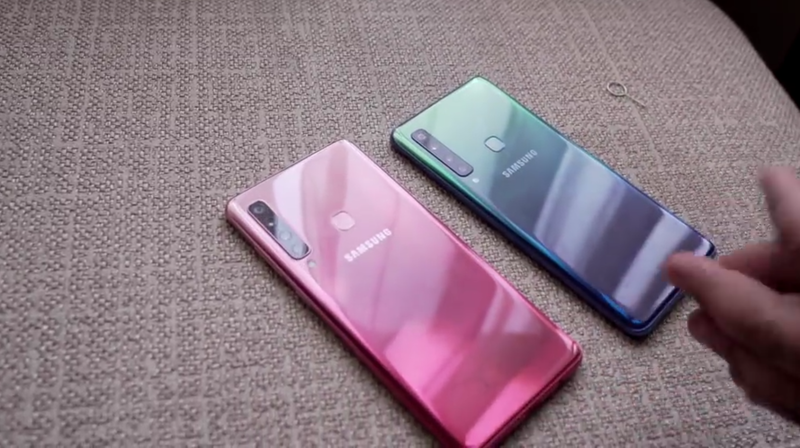 For connectivity, basic features such as 4G, VoLTE, WiFi, USB Type-C, NFC, 3.5mm headphone jack, Bluetooth and GPS have been provided in the phone. The Samsung Galaxy A9 will compete in the market, with the recently launched OnePlus 6T, which starts from Rs 37,999 in India.